There are lost of angry PlayStation players at the moment, but can you blame them? 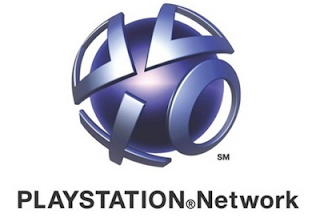 Sony has switched off their multiplayer online network for a week now while they investigate and intrusion into the PlayStation Network. Recent reports have come out advising users of information being collected by the hackers. Sony originally explained the outage as being "infrastructure upgrades", however as time has passed and the situation has become more serious they have released that the outage was cause by unidentified hackers. Sony has posted a FAQ on their support website with some more information regarding the outage, but at most the response is "we're looking into it.... stay tuned". Yesterday here in Sydney, NSW Police have advise people to check or even cancel their credit cards while advising they are borderline on starting their own investigation. What is further frustrating users is that some games require connection to PSN server for even the Offline campaigns for Trophy updates and more. Microsoft has not been silly regarding this outage. They have recently had an open weekend for Gold membership trials for XBOX Live and running additional advertisements for the XBOX 360 over the outage period. For players who have paid for the additional access on the PlayStation Network, according the FAQ a possible refund or credit maybe arranged to compensate for the downtime. However even at this point of a week of downtime there has been no sign of the network returning to Online status, which is deeply concerning.